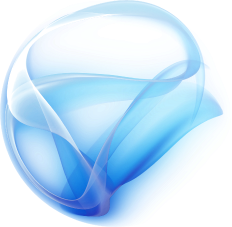 The best thing about Silverlight is its icon. For regular users it’s a web-browser plugin that allows you to view and use Silverlight content. What Silverlight content is there? Media and stuff. Have you ever seen a website done completely in Flash? Well, now you can do that but with Silverlight. From my perspective this is fundamentally about competing with Flash. There are some cool things going on under the covers to make this happen and as a developer, I understand the geek factor there. By the same token, as a developer, my ability to develop amazing software is directly related to the toolset available to me. So I ask myself, “Which toolset gives me the greatest ability to develop amazing software?” Flash or Silverlight? PHP or Ruby on Rails? Cocoa and Core Animation or XAML and .NET? I don’t think I can compare any of these with much authority, but I have a hard time believing that the next killer app, web or otherwise is going to show up as a Silverlight application. Still, I love the icon. Posted in future technology, microsoft, software. Check out this WPF app… http://select.nytimes.com/gst/timesreader.htmlPopfly is coming — http://www.popfly.ms/Overview/It is all about the Xaml! xaml schmaml. Nice choice…if you want decent xaml tools, you have to go windows, if you want to debug you HAVE to go windows.wait…that’s not actually a choice.